Discussion in 'Console Gaming' started by DavidGraham, Apr 23, 2014. 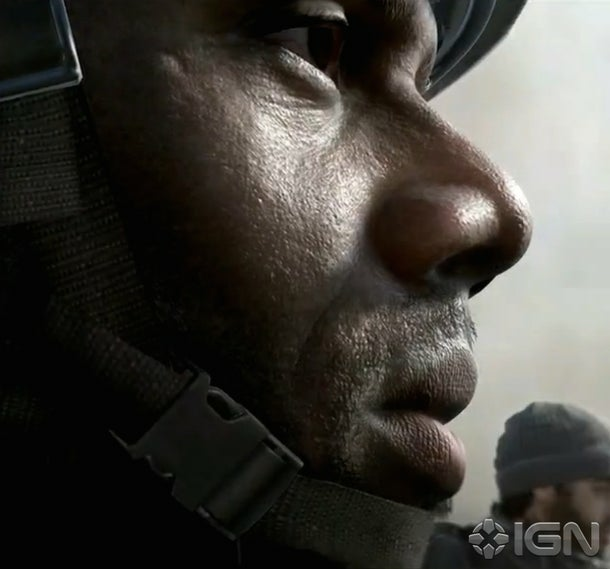 The first screen shot for the upcoming COD, developed by Sledgehammer for 3 years and targeting next-gen platforms primarily. Edit: The facial hair and skin shaders are so natural …not overdone. I only believe so called screenshots when they show footage close to release. Remember Watchdogs ? To what extent will the downgrade be on ps4/XO during actual gameplay, and on consoles what are the chances this level of detail be limited primarily to ingame cinematic sequences? Allegedly the PS4 is the primary development platform so hopefully any visuals should be relatively as is. Having said that, the above image which looks pretty OK, could be from anything.Without context it's just a pretty picture. Haven't you guys learned by now? well that does not look beyond a NBA2K 14 character, which is 60fps too. See I thought it looked like a bullshot at first but then I realised how badly the eyes are rendered and I changed my mind. This game is the first one based on activision's next gen engine that was demoed with that astounding facial modeling tech demo a while back. I've seen this level of detail in demo's but never in a game. Crysis 3 was probably the closest (or Ryse I guess but I haven't played that) but neither of those are at this level. Of course I don't expect CoD to be at this level either when it comes to actual real time gameplay. For level of detail, it's just very close in, and pointless for anything other than cutscenes and promo shots. There's similar detail on The Order for example. Maybe not as sharp, but this could well be a promo shot showcasing the rendering and not the actual in-game assets. No point blowing a 1k texture on just the facial features for every soldier running about who's face occupies a few thousand pixels on screen! 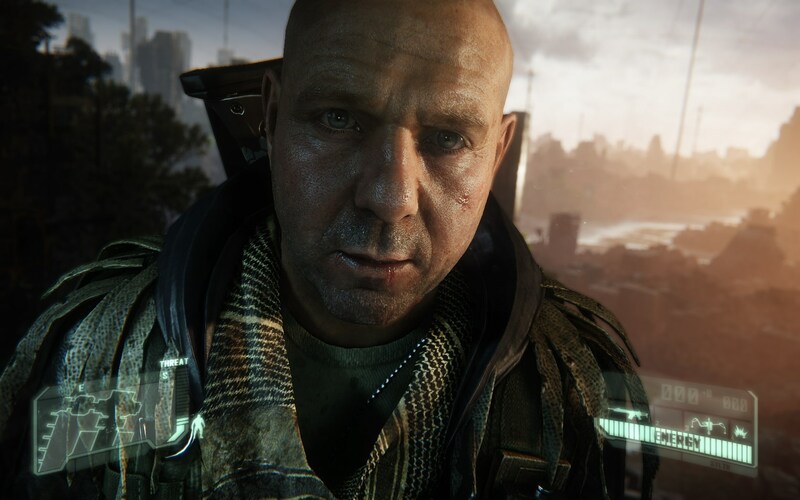 Crysis 3 and Battlefield 4 had equally good faces ..
What about when you get right up in an NPC characters face when its taking up an 1/12th of the screen or more? All I see is dead eyes, just like every other game, except Beyond, I guess. Btw, BF4 has had the best faces in an fps till now, on the consoles, I mean. BF4 SP faces were very life like ! Okay. 1/12th of a 2 megapixel 1080p screen is ~170,000 pixels. I don't see a need for 1k facial textures. 512x512 textures provide enough detail for that. You only need the level of detail shown in that screenshot when the face is occupying that much space, which won't happen in game. Normal gameplay only requires smaller textures. What's so impossible about that COD pic? High res textures and dense face polys? Seen them in pretty much every nextgen titles released thus far. Looks like they improved the lighting at least compared to Ghosts. Let's hope the story a little bit more grounded this time and realistic. 1280x 720 is only 2.65x bigger so it take over a 1/3rd (37%) of the area of a 720p render target. It doesn't show the full face and part of it is cut off (ear & back of head). A full front facing view of the face at that closeness could take 40% more pixels than a 610x569 area can contain at that closeness which is 23% of the screen at 1080p, about 400,000 pixels. You said they dont need to use 1k assets because one will never (or maybe rarely) get that close to npc faces during gameplay. But doesn't it stand that they aren't using that much shader detail and other assets? Wouldnt this be more of something seen during select CoD ingame cinematic moments? When rendering the environment and everything else at 60fps at that nextgen fidelity will ps4/xo have the spare resources to render the faces with that much shader detail? 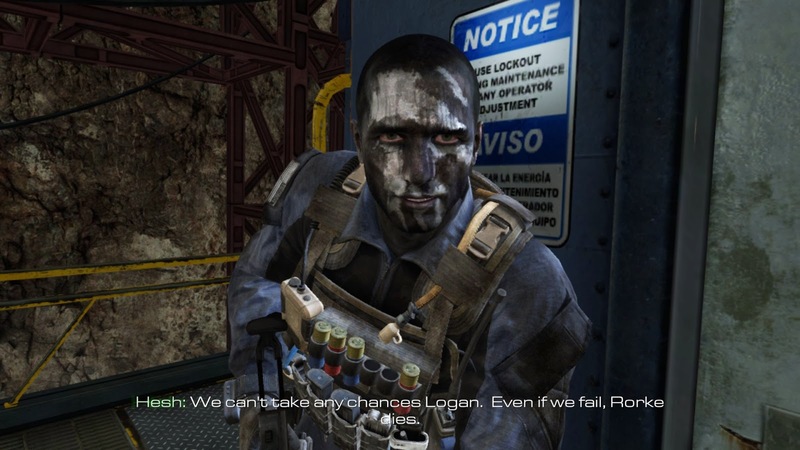 Remember that faces are rarely that big on screen and there is LoD systems for animation and shaders as well. If they use the tech shown while back their shaders are really not that heavy either. I do not see anything impossible in that pic, it's what we can expect from big games in this gen. I'm quite sure there are other more impressive things in future images.